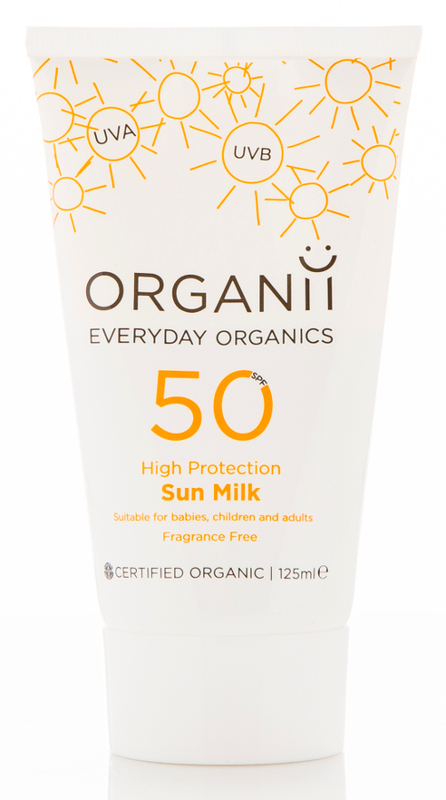 Natural, organic mineral sun milk which is fragrance free and is SPF 50, ready to defend the whole family on sunny days. Gentle to skin therefore is suitable for everyone even those with sensitive skin. A fluid, high protection formula which blends with ease and absorbs quickly without leaving behind any excess residue or whiteness. It’s created using extracts of olive fruit, jojoba, sunflower and argan oils to help moisturise and nourish skin, shielding you from UVB and UVA rays naturally. Perfect for people who have fair skin or burn quickly or easily. Directions: Apply generously, massage into skin, reapply frequently, especially after sweating or swimming. Aqua (water), pongamia glabra seed oil, dicaprylyl ether, zinc oxide, caprylic/capric triglyceride, polyglyceryl-3 polyricinoleate, glycerin, alcohol*, olea europaea fruit oil, titanium dioxide, oryza sativa bran oil, linum usitatissimum oil*, tocopherol, alumina, stearic acid, pongamol, helianthus annuus seed oil*, simmondsia chinensis oil*, argania spinosa kernel oil*, hydrated silica, oryzanol, magnesium stearate, calendula officinalis flower extract*, malva sylvestris leaf extract*, bisabolol, magnesium sulphate eptahydrate, stearic acid. *from organic farming. 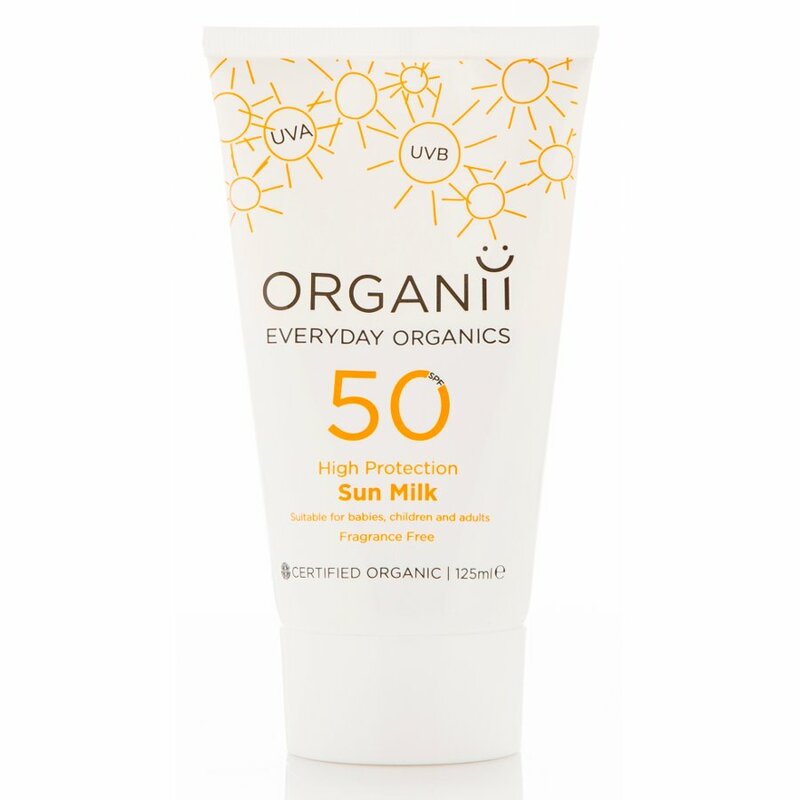 There are currently no questions to display about Organii SPF50 Sun Milk - 125ml.